The EUR/USD currency pair keeps moving downwards steadily. Currently we should expect the price to be corrected to the channel’s upper border in the area of 1.4130, where one can try to open short positions. But if the price breaks the descending channel and leaves it, this case scenario will be cancelled. Pound has also reached the targets defined earlier. 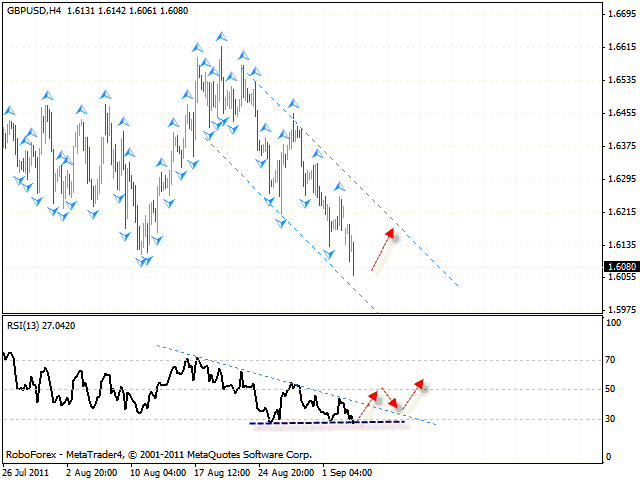 After the price breaks the trend’s descending line at the RSI one can try to buy the pair with the target of 1.6200. 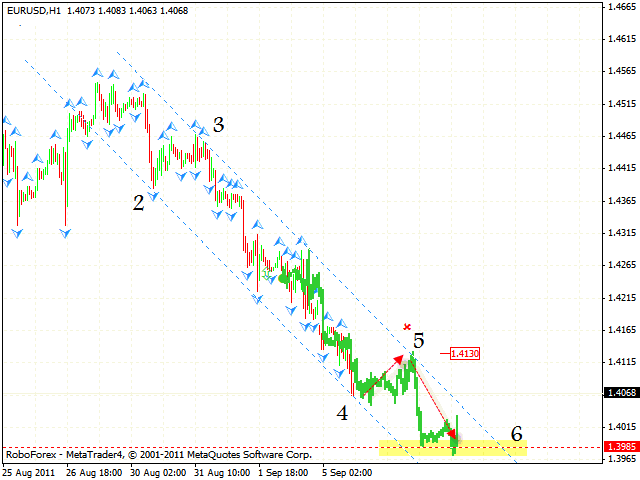 The stop must be below 1.6055. But id Pound continues falling down, this case scenario will be cancelled. New Zealand Dollar has reached the targets of the fall. 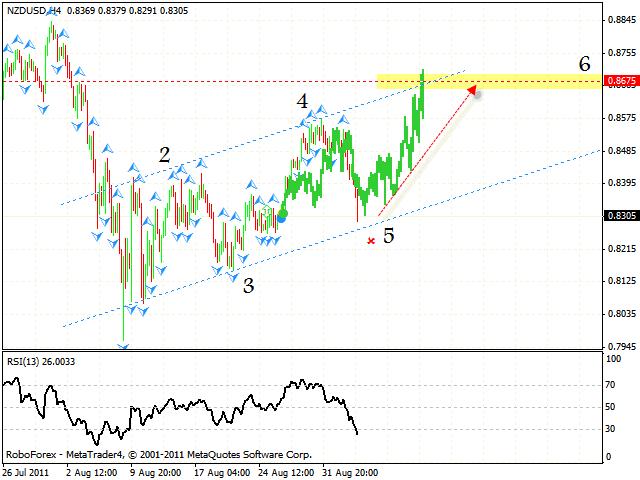 Currently one can consider buying the pair with the tight stop below 0.8280. The target of the growth is the area of 0.8675. But if the price breaks the channel’s lower border and leaves it, this case scenario will be cancelled. Silver hasn’t fallen down as we expected, however right now we can see signs of a reverse. The price testing the trend’s descending line at the RSI is a signal to sell the instrument, we should expect it to fall. 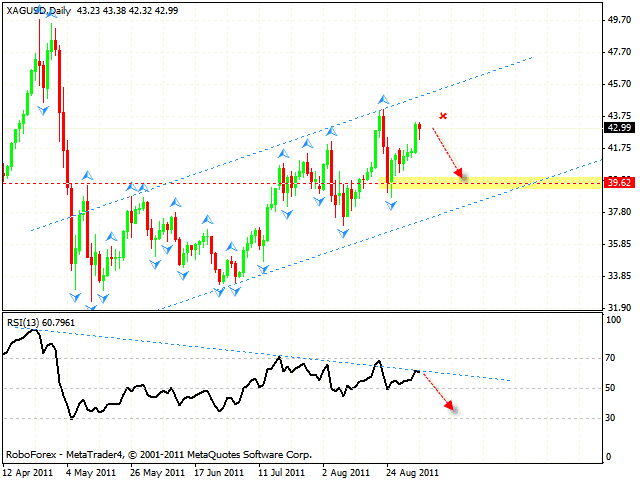 Also, we can see the formation of “failure swing” reversal pattern at the RSI. The target of the fall is the area of 39.62. One can try to sell Silver with the tight stop.